In December, when students across the country were getting ready for the start of their winter breaks, Hubbard-native Levi Cooper got the Christmas gift of a lifetime — a spot on World Wrestling Entertainment's main roster. 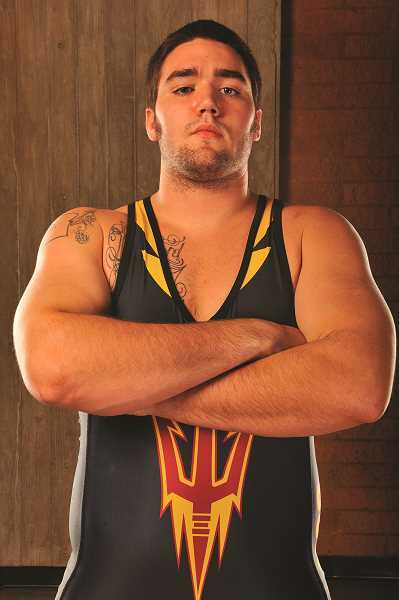 A former wrestler at North Marion High School and an All-American at Arizona State University, Cooper decided to parlay his success on the mat to a potential career in the ring when he graduated college in 2013 and traveled to Orlando to train at the WWE Performance Center. Five years later, as Cooper and his tag-team partner Nikola Bogojevic were getting ready to head home for the holidays, word came down that the pair were two of six new wrestlers picked to join the WWE's primary roster in 2019. "I've been here for five years training for that," Cooper said. "To get that call was pretty amazing." 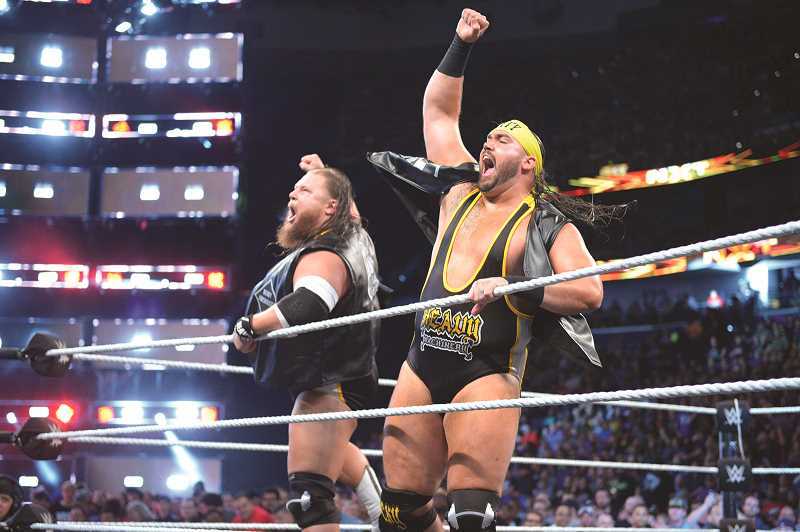 Wrestling under the ring name Tucker Knight, he and Bogojevic (ring name Otis Dozovic) joined forces in July, 2016 as the tag team duo Heavy Machinery, performing under the NXT label — the farm system that helps train future wrestlers for the WWE's main roster. But before Cooper and Bogojevic ever teamed up, before Cooper ever got into the ring, he was just one of numerous amateur wrestling prospects looking to follow a dream to become the next WWE superstar. Following in the footsteps of WWE legends and former Olympic wrestlers like Kurt Angle and Brock Lesner, amateur wrestling has long presented a pipeline of physically gifted athletes for the WWE. "I'd say in my five years, at any given time there was between five and 10 amateur wrestlers there training and learning," Cooper said. The pairing is only natural. 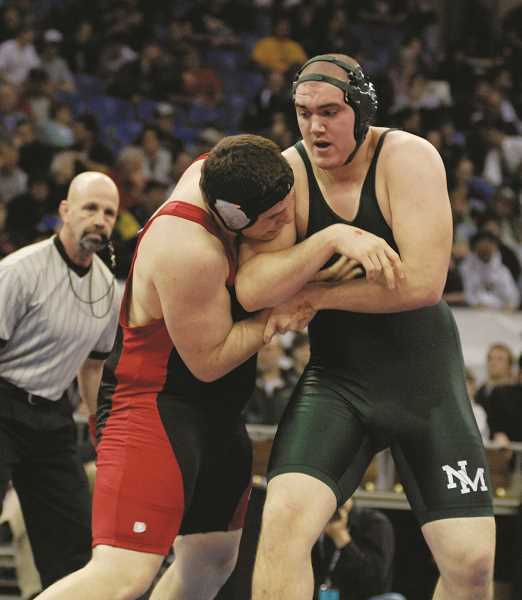 The strenuous mix of aerobics, strength and endurance required to excel at amateur wrestling is also tailor made to prepare athletes for the rigors of competing in professional wrestling. Beyond just the physical tools Cooper learned on the mat, amateur wrestling also taught him how to approach any difficult goal in life. "I give amateur wrestling a lot of credit to the work ethic I have in my life in general, regardless of what the subject is," Cooper said. "And then just mentally, overcoming — there are times when you have to perform, regardless of the circumstance. When it's time to put on a show, it's time to perform, you've got to get the job done. You've got to be mentally prepared for it, and I feel that amateur wrestling definitely prepared me." That amateur wrestling background also helped form the bridge that became a friendship between Cooper and Bogojevic. A Greco-Roman wrestling champion at the Junior Pan-American Games in 2011 and a bronze medalist at the 2014 Pan-American games, Bogojevic joined the NXT roster in 2016 under the ring name Dozer. Cooper had been at NXT for nearly a year at that point as Tucker Knight, a name he workshopped with WWE commentator Byron Saxton as something comfortable and easy to chant. Both heavyweight wrestlers hovering around 300 pounds each, the two were quickly paired together, and using Dozer as a starting point, settled on the tag team name of Heavy Machinery. "It became apparent pretty quickly that it was something that was probably going to work out for us," Cooper said. "The way that we try to describe Heavy Machinery is that we are heavy machinery. We run things over. We smash things. That's kind of our style of wrestling." From Dozer, Bogojevic soon settled on the name Otis Dozovic, and the combination of their mutual wrestling background, growing up in rural, blue collar communities and the busy training schedule practically cemented their friendship from the beginning. "We had that instant connection as heavyweight wrestlers," Cooper said. "That is the foundation of Heavy Machinery, but as we've grown over these years together, it's turned into a brotherhood." But physicality is one only one aspect of the sports entertainment spectrum. Professional wrestling is one half physical spectacle, one half televised opera. While amateur wrestling helped prepare Cooper and Bogojevic for the rigors of the ring, the entertainment side of the game did not come nearly as naturally. "For amateur wrestlers who are trying to make it as WWE superstars, that's the hardest piece," Cooper said. "Just figuring out how do you connect with people." As an amateur wrestler, you're taught not to show emotion or give too much away to your opponent. All that has to be thrown out the window in professional wrestling. The WWE packs stadiums full of people each week to watch their Raw and Smackdown shows, and the audience needs to see and hear every grimace and groan that comes from the show. On top of that, the most successful wrestlers are those with the biggest personalities, either as a villainous heal the audience loves to hate or a charismatic face that can bring 20,000 people to their feet. "That's the name of the game; that's what we do here," Cooper said. "We connect with people emotionally and we tell stories in the ring. That's our job." While Cooper is Tucker Knight, he had to figure out just who Tucker Knight was going to be. As Otis Dozovic, Bogojevic has locked down the role of the team's wildcard — a lovable but unpredictable maelstrom of personality. To play off his partner, Cooper presents Tucker Knight as more even-keeled counterpart. "That was difficult exploration for myself," Cooper said. "I went through more than one version of Tucker Knight before I became Tucker Knight as where he is now. It's kind of that personal exploration of figuring out what that is about you that people relate to or gets them to react to you one way or the other." The pair made their WWE debut last week in a pair of vignettes, first on the Jan. 14 showing of Raw, then on the Jan. 17 airing of Smackdown. The two saw their first action in the ring on the Jan. 21 episode of Raw, picking up a victory over tag team rival The Ascension. From there, Cooper is looking forward to what 2019 can bring for Heavy Machinery. "Obviously we have high hopes of wrestling on WrestleMania, winning tag team champions and just becoming the best tag team that the two of us are capable of becoming," Cooper said. "We're extremely excited for that opportunity."